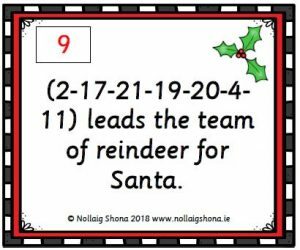 There are twelve sentences in this pack and all are based on a Christmas theme. This resource would be suitable for a Literacy Station during Station Teaching in the classroom. It is suggested that the sentence cards and the code card are cut out and laminated so that they can be used again and again.